In just over 2 weeks, I have a family reunion that I am going to. Every year, my mom’s side of the family gets together for about 24 hours of family fun. My mom and her siblings each take turns taking the reigns and planning everything, and this year, my mom is in charge. So there has been a lot of reunion talk these past few months. We are teaming up with one other family for one of the meals, and being the planner that my mom is, she wanted to do a test run of the meal. So we all gathered on Sunday for taco salads and dessert. Each of us kids is planning on bringing a dessert. My mind immediately went to brownies/bars – simply because they are easy to make ahead and to transport. And my mom has a cookbook that I’ve been addicted to flipping through lately, so I went on the search for a dessert to try out. These Oatmeal Raisin Bars immediately spoke to me. As a lover of the oatmeal raisin cookie, I knew I wanted to give this bar a try. If you are a fan of oatmeal raisin cookies, these bars are for you. 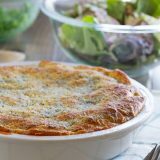 A crumbly crust is topped with a creamy filling that is stuffed with raisins. Then more crumb goes on top and everything is baked together. The bars are messy – all that crumb mixture! 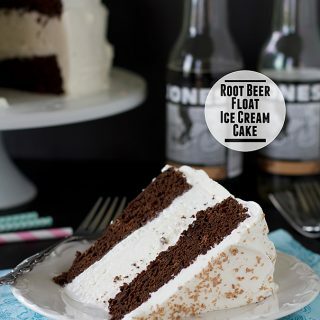 – but I would honestly categorize them as in the top at least 5 of my favorite bar recipes right now. Really. I really, really liked them. 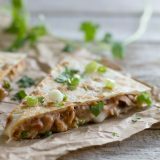 They are a little bit more involved than your typical bar recipe, but they are totally worth it. 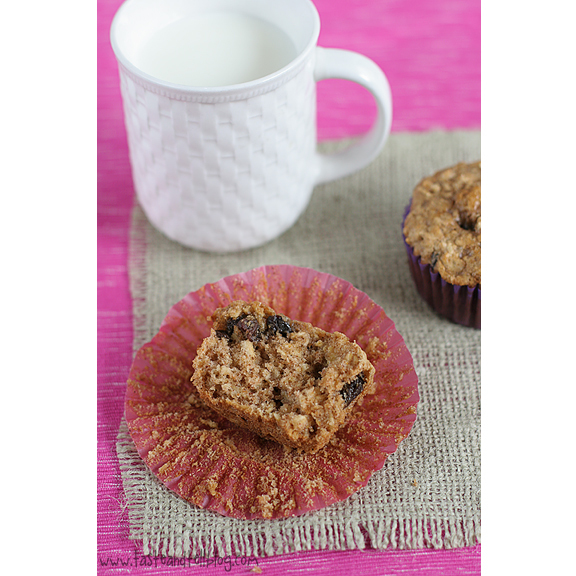 Oatmeal raisin lovers – this one needs to go to the top of your “to try” list! 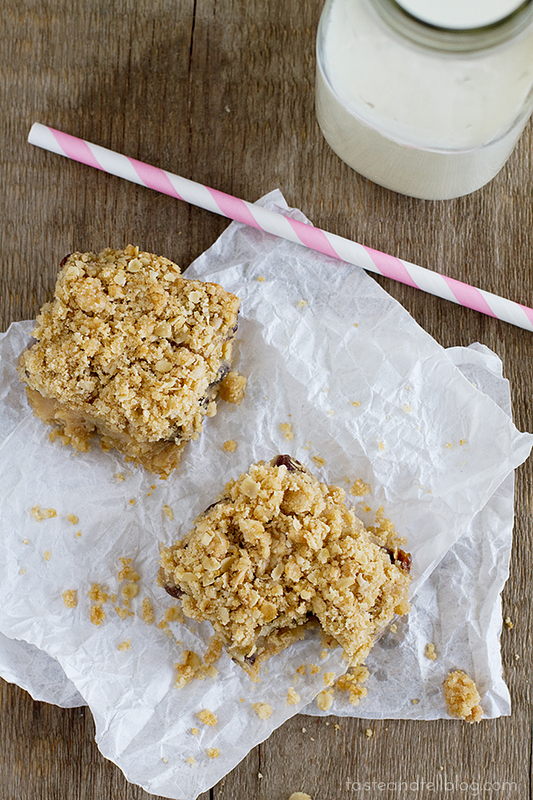 Recipe for bars with an oatmeal crumb and a creamy raisin center. In a large saucepan, combine the sugar, cornstarch and cinnamon. Stir in the sour cream and cook over medium-high heat until it starts to bubble, stirring often. When it starts to boil, reduce the heat and cook 2 more minutes. Remove from the heat and whisk a small amount into the eggs. Stir the egg mixture back into the saucepan and return to the heat. Bring to a boil, then cook an additional 2 minutes. Remove from the heat and gently stir in the raisins. Let sit without stirring until it comes to room temperature. In a large bowl, combine the flour, oats, sugar, baking soda and salt. Use a pastry cutter to cut in the butter until it resembles coarse crumbs. Press 3 1/2 cups of the crumb mixture into the bottom of a greased 9×13-inch baking pan. Gently spread the filling mixture over the crust. Sprinkle the remaining crumb mixture on top of the filling. 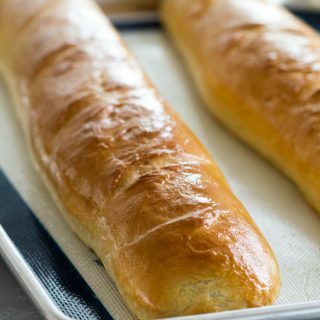 Bake in the preheated oven for 25-30 minutes, or until golden brown. Let cool completely before cutting into squares. Thanks for linking up to my Oatmeal Raisin Slice & Bake Cookies. Your bars look PERFECT. I love making bars – so much faster/easier than cookies. But I love oatmeal in any form! That Taste of Home Church Supper Desserts sounds like something I’d love! Lovely bars! A wonderful snack item. Ooooh, top 5 favorite bars right now? That’s a good sign! I need to try these. Love oatmeal raisin cookies, and I KNOW I would love them in bar form! I love making bars!! So much less time consuming than baking cookies. 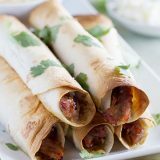 These look so good and I bet they will be perfect for your family reunion! 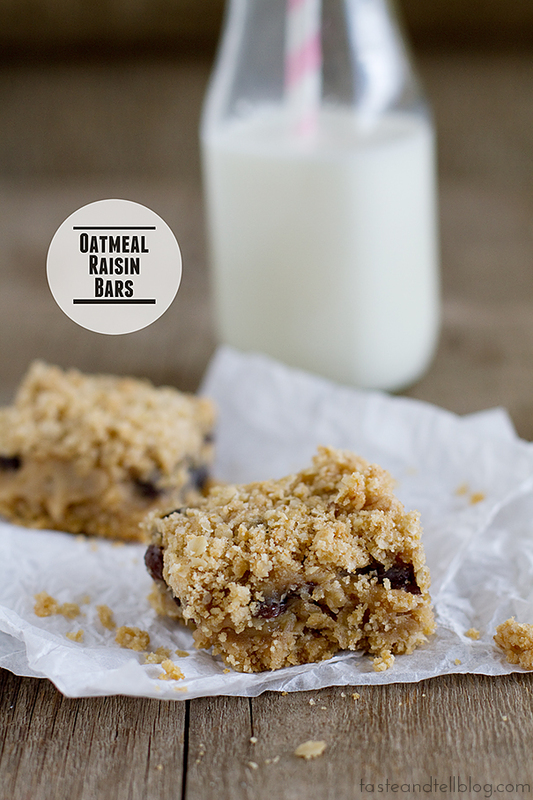 I love oatmeal raisin cookies and I can’t wait to try this bar recipe! 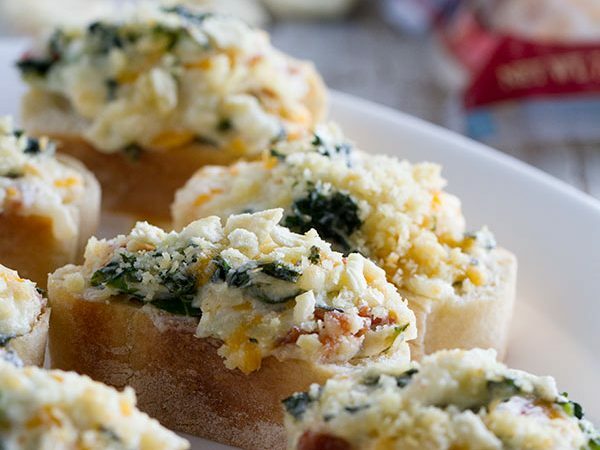 It will be perfect for bringing to a potluck this summer. 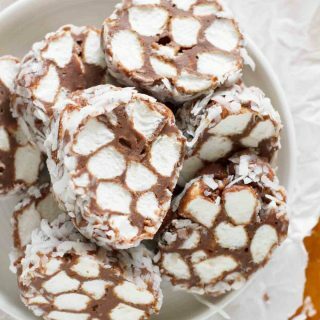 These bars look like heaven to eat and so simple to make! Love these bars, Deborah! I always pair oatmeal with raisins. Thank you for linking up to my scones! Pinning your bars! Oatmeal raisin are my favorite cookies. Can’t wait to try these. 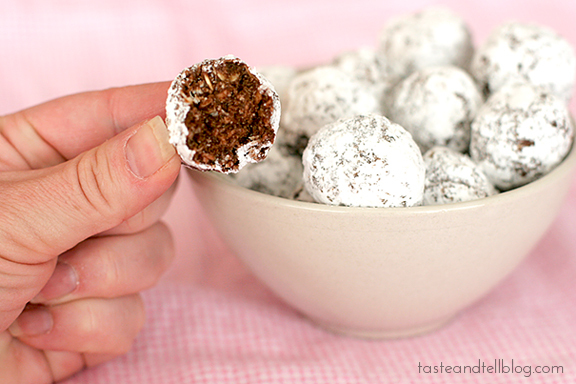 Grocery shopping tomorrow and will buy raisins and make these in the afternoon since it is supposed to be pretty cool (50)here in Chicago. These look very moreish, I love the combination of oats and raisins. These look so delilcious, Deborah! Perfectly crumbly, moist and chewy. You’ve got me craving them now! 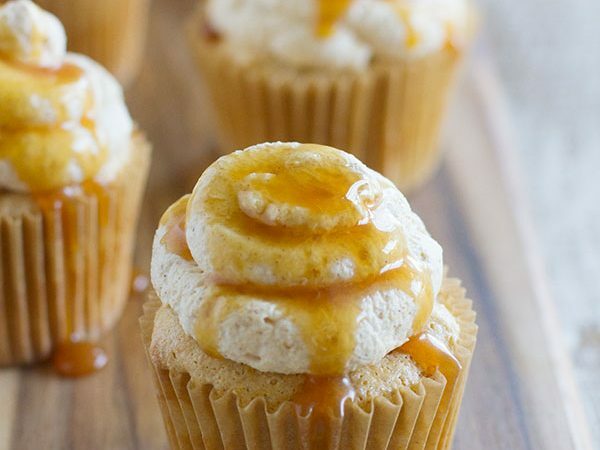 Yum, these look so good! Very cute pics! I’ve been looking for one of those milk glasses forever they seem hard to find if you only want one :). Oatmeal raisin always tastes like comfort to me! I love it in cookie form but I think I’d adore it even more in these bars…more chewy texture in each bite! when I’m feeling horribly lazy, so lazy that even cookies are too much work, I spread the cookie dough into a pan and call it bars. LOL! oatmeal raisin cookies are my favorite cookie ever. No lie! I would love them in bar form, Deborah! Have fun at the family reunion! 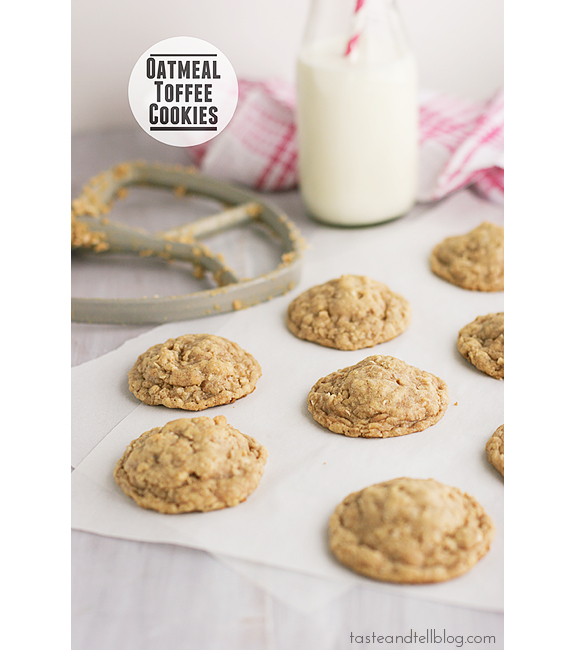 These look awesome- my dad LOVES oatmeal raisin cookies… I think I need to make him a batch for fathers day! Your reunion sounds like a ton of fun too! 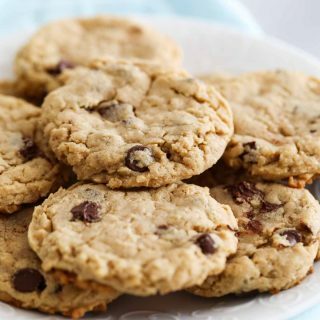 Oatmeal raisin is my favorite cookie too so I’m sure I’ll love these! These look amazing, and not to mention genius. 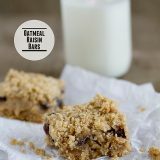 I love oatmeal date bars, and I love oatmeal raisin cookies, so making these seems like the perfect way to combine those… Making them this weekend! I adore oatmeal raisin cookies also so I can’t wait to try it in bar form which is so much less time consuming! Plus that crumb topping pushes it over the edge! These bars are calling my name, I must have them! Thanks for linking up with What’s Cookin’ Wednesday! Yum 🙂 these bars look delicious, I am loving the crumb on top! This recipe sounds a lot like date squares which my husband and I love. Can’t you substitute raisins for dates? I’m sure dates would work just fine!